A friend invited me to create a blanket for a breast cancer fundraiser her town’s junior women’s league put on this spring (with proceeds going to the Susan G. Komen Foundation and to the local hospital). 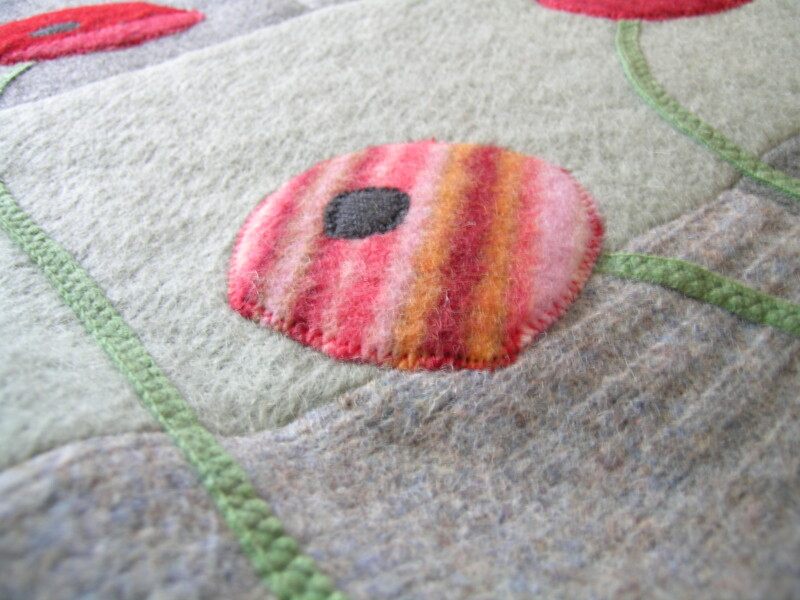 As I pondered what to make for it, these colorful poppies against their quiet background kept coming to my mind. Any difficult diagnosis brings some heaviness — that’s the gray-green background, like dark clouds. But it can also bring a change of outlook on life and life’s many gifts, ones we so easily take for granted. And those, of course, are the poppies. A tribute, too, to my sweet mom and my sweet mom-in-law, both of whom have battled breast cancer. Wow! Thanks, Macey. 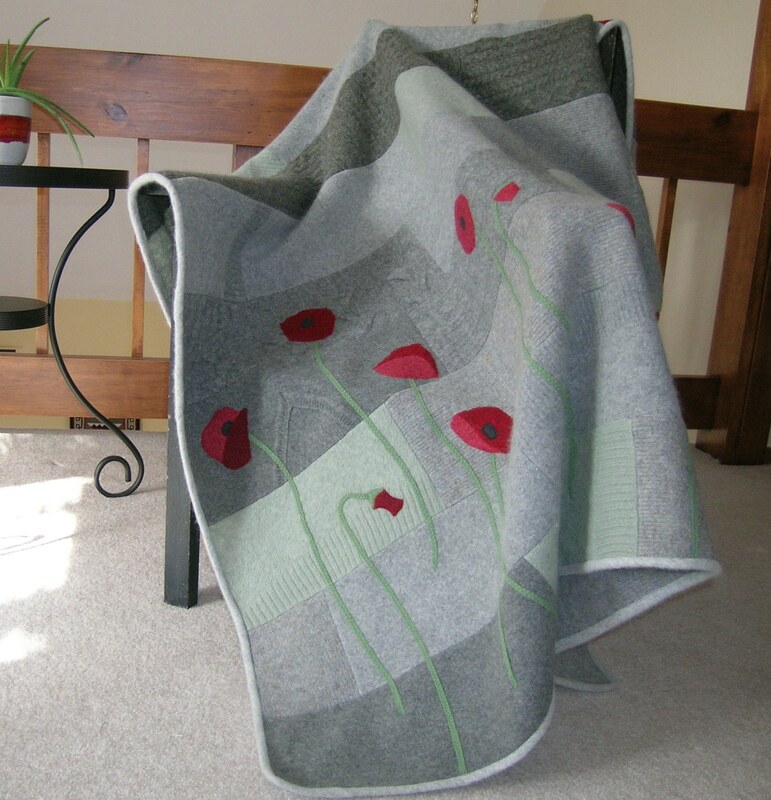 This was a very early blanket and it holds a special place in my heart…still. This is still one of my very favorites. Thank you, G :). You guys have seen me through a lot of blankets!